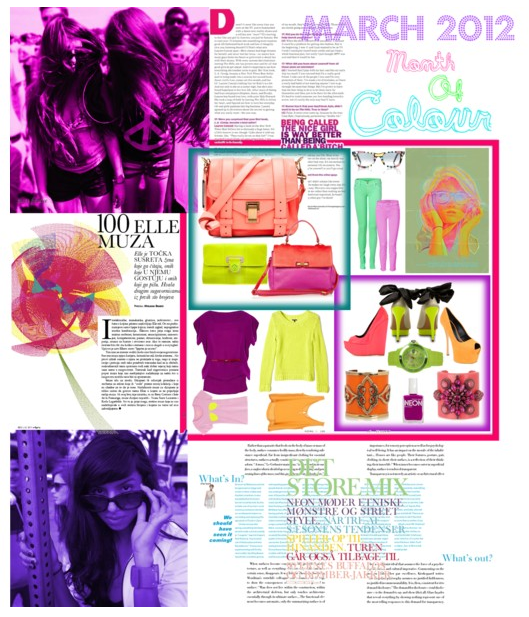 It's officially March and I'm addicted to colour!! March is exciting because A it's my birthday month and B the season of Spring hits which means winter will be behind us! YAY! What's extra exciting is that since the warmer weather will be approaching, shopping for a new wardrobe is now in effect!! And yes I have begun!! Between the fun neon and the pretty pastels I CAN'T STOP BUYING THINGS!! I hope you are all enjoying the fun trends of Spring and Summer as much as I am. Happy shopping and stay tuned for my new wardrobe additions!